VANCOUVER — Assuming there are no snow days this year, students in the Evergreen School District will still get to start Summer break on June 13. But the teacher strike that delayed the start of school by eight days will hit home over Thanksgiving and New Years. 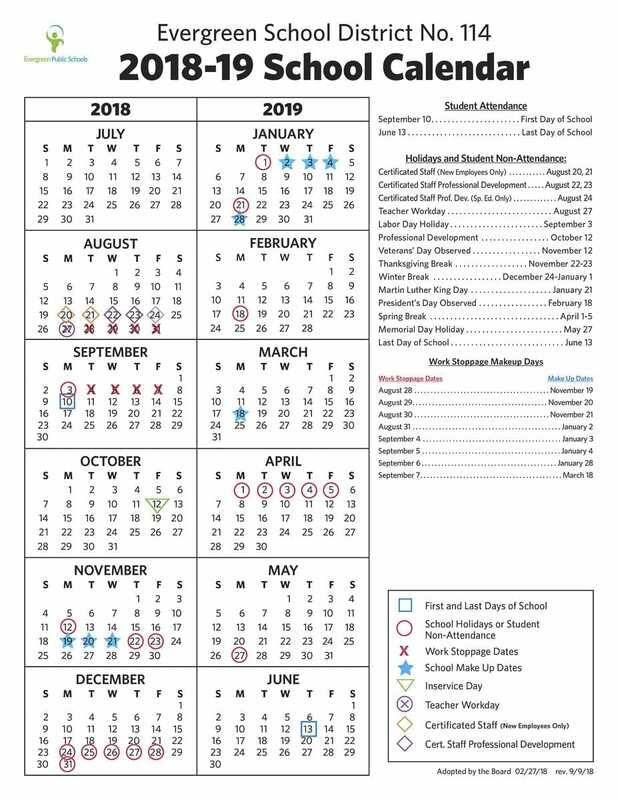 Instead of having those entire weeks off, students and teachers will only get Thanksgiving and the day after off, along with New Years Eve and New Years Day. Two other days, January 28 and March 18, will also be regular school days instead of a semester break day and snow make up day respectively. The district won’t have much wiggle room after adjusting their calendar, so if bad weather cancels classes this year, it’s likely that Summer will start a little later. The Evergreen School District updated calendar for the 2018-2019 school year. Courtesy Evergreen School District. Click to open.